Poor kobolds are gleefully sent to their demise in droves by the Consul. The Gouger has it worst than most with his lack of any armor. Luckily he found a good long stick to strap his knife to. This grants him the Reach ability allowing him to attack from behind his tougher kin. Don't underestimate him either. Like all kobolds the Gouger possesses the ability to Mob ensuring that he can defeat the toughest of heroes as long as he has a little help. 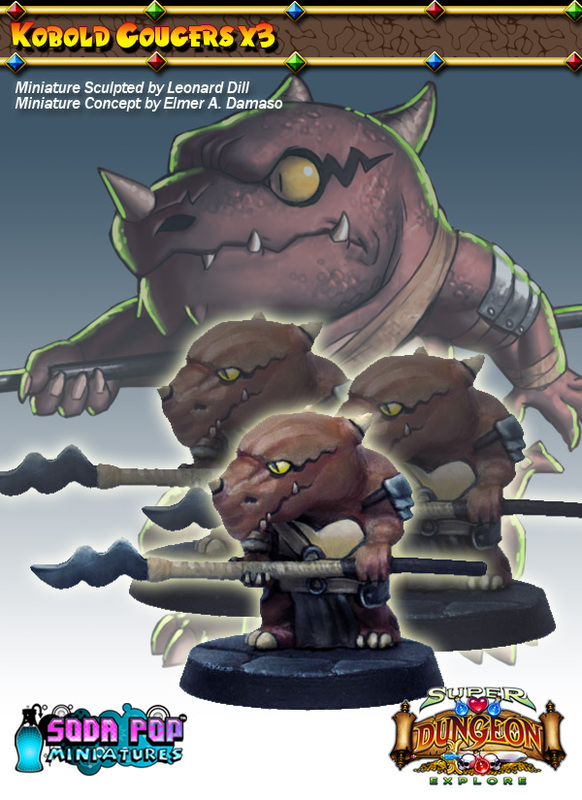 This set contains three Kobold Gouger, pewter Minion models. 25mm round bases included. Model is supplied unpainted.